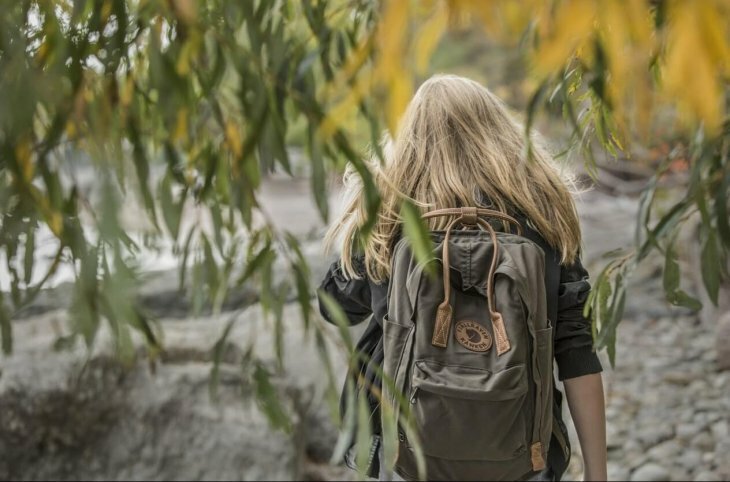 Whether you’re going out for the day to a new city or for a nice hike in the wildness, a day pack is an essential piece of kit. However, not any old day pack will do! You want something that is comfortable and that will carry all your essentials for your day out. Here we take a look at the best 5 day packs on the market, their features and what they are best to be used for. A day pack is a pretty essential piece of kit for anyone. We LOVE to be prepared and carry around a whole host of things in order to make our day easier and more convenient. A day pack is what allows this to happen and if you can get a comfortable functional bag, you will reap the benefits. 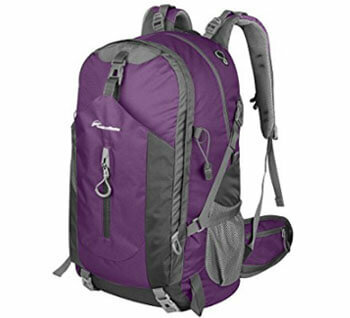 A day pack should ideally be lightweight and have enough space to carry everything that you want it to. Generally the larger the bag the heavier it will be; however there are more expensive models on the market which maintain the lightness of the bag despite its size. Figure out what you want to put in it and how much space you will need. Typically 20-25L is pretty standard and the size that suits most people’s needs. It is likely to be the most comfortable too. Anything bigger may not sit comfortably in the same way. A good daypack will also have a couple of side pockets. These are usually for water bottles – so you can easily reach a drink when you need it. They can also come in handy for snacks or even rubbish - side pockets are a must. Inner pockets may be features on your daypack. This may suit your needs better than one that doesn’t have any organizational qualities. I prefer a pack that has some organizational qualities so I can separate certain items from each other (i.e. food from clothing). 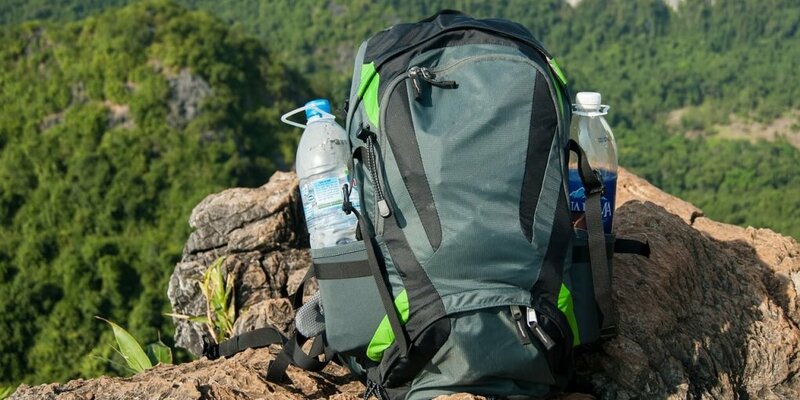 A good daypack will be made from durable material that can stand the test of time. You want some long-lasting and that isn't going to break after a few uses from the weight of your items. This means you should look for good stitching and reinforced seams. 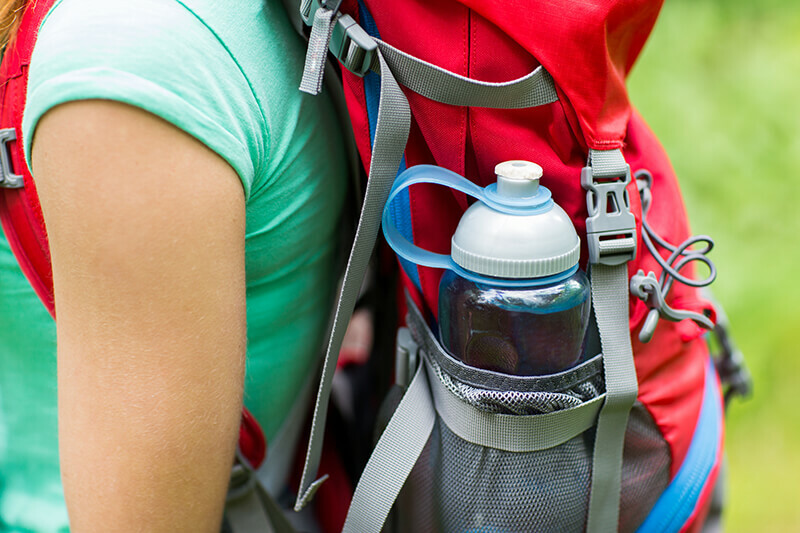 Depending on where you live, water reisstence may be crucial for a good daypack. In some places the weather can be unpredictable and thus being weather-proof is essential to keep your items protected. Let's face it, if you have ever had to wear a backpack that didn't quite fit right on your back ,you will know the pain it can cause to your back and shoulders. You will be uncomfortable after a very short time and who wants that? Adjustable straps will come in handy to make it fit right on you, but really you want to look for a pack that has taken things a step further and has other features that help distribute the weight evenly and also offer support/cushioning for the shoulders. My faovrite daypack has a ventilation panel and a waist belt. The waist belt helps sit the pack comfortably. Not everyone needs these features but I think they are important for comfort overall. Some packs will be a one size fits all deal, while others can come in different sizes depending on your height. It is always good to try a range of packs. For the majority of people a one size fits all may be ok, but for others finding one that caters a little more to them will be a more comfortable option. Shoulder padding is always a good idea for extra comfort particularly if you are going to be wearing the pack over a long period of time. Some daypacks only have a zip entry and no lid. However a lid can come in handy as you can keep frequently needed items in the lid pocket or separate out items you don't want within the main compartment. Having a child, I find a lip, or a pocket on the outer part of the day pack essential for reaching particular items my son may need during the day. Otherwise it is a huge nuisance to keep rumbling through the pack. 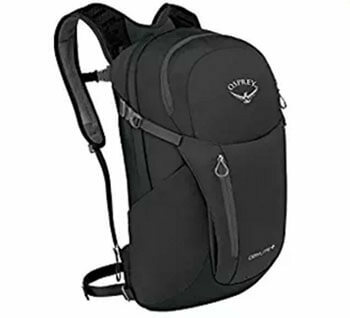 The VenturePal daypack is lightweight and comes in a variety of different colors so perfect if you are particular about the color of your pack. It weights less than a lb but is made from durable material, so lightness doesn't equal flimsy and unreliable when it comes to this bag. It has a double-layer bottom piece for extra security and confidence in carrying your items, as well as two-way SBS metal zippers. It also has breatheable should straps with plenty of padding to make the wearing of this comfortable. You can also adjust them. It also has a chest strap too for extrat comfort. For me, a chest strap is really important for coaxing a bag into sitting in the most comfortable position for my body, so any bag I own must have it. It also has plenty of room (35ls) and can be packed up small into its own storage pocket, so that you can use it as a back-up bag for travelling (in case you suitcase is just a little too heavy and you need to take some on the plane with you!). Lastly it has plenty of compartments to help you organize your items, including 2 side pockers, a front zipped pock and a compartment within the main part. PROS: I love that it is compact and lightweight. It is very easy to store when not in use. It is also cheaply priced which is always a bonus. CONS: Not ideal if you want to take hiking – could do with more padding and durability is questionable due to its thinness. May want to try something else if you intend to carry heavy items. The Opsrey Daylite touts itself as the one small, d-all bag you can use on any trip. It can also attach to some of Osprey's larger packs for extra versatility on any trip. This is a great feature! If you are going away on vacation – you can easily attach and detached from your travel luggage when you need to. PROS: Lots of pockets and organization. A front – shove it pocket is also great. The foam back also lends itself to a comfortable fit. CONS: Side pockets are meant for water bottles. If you prefer a bottle over using a bladder system, you may want to go for a different bag. The Teton Sports Oassis 11000 is the perfect companion for hiking or all day use. It has an all day hydration pack and has plenty of storage for your things. It has 4 zippered pockets – the biggest one being for the hydration bladder (which is included with the bag). The tube of the bladder can be pushed through openings in the shoulder strap so that the end of the tube sits nicely and can easily be used when you need a drink. The hydration bladder is BPA free. There is also a v shape opening at the bottom of the bag just incase it leaks or if you bag becomes wet, it drains out water. What a neat little feature. It has 2 outside bungee pockets to easily place anything that you want easy reach too. If the hydration system is your preferred method, you can use these pockets for extra water bottles. The bungee cords give extra security to these pockets. There is also a bungee net right on the back too which you could use to hold a raincoat or bike helmet. It also has a raincover (located near the bottom of the bag) which you can pull out to protect your stuff from the rain. 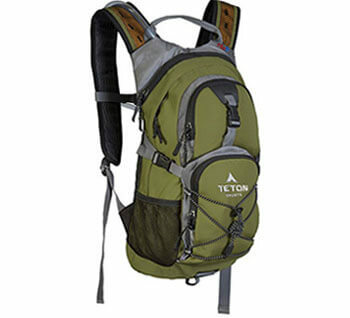 The Teton daypack has foam padding in the shoulders and they have a large surface area to distribute weight nicely. It also has waist and chest straps so you can secure the pack securely too which are fully adjustable. It has an air mesh back panel with foam pads so you can secure it tightly for minimal bounce. This gives it a lot of versatility and can be used for running too. Lastly it contains a safety whistle too. Overall the TETON Sports Oasis 1100 has thought of it all! It even offers a limited lifetime guarantee - if you aren't happy with your purchase, just contact them and they will sort you out. PROS: Everything. Good quality space, thoughtful design, rain cover addition and ability to use bladder or bottles depending on preference. CONS: To be honest, I can't see a con with this one. However some customers have complained about certain features – including faulty zippers and zero air flow to the back making for a sweaty back experience. The Outlander Lightweight Daypack is a very lightweight (half a lb light!) bag with 22ls or 33ls of room. It can also be stuffed into its own pouch for easy storage at home and a back-up bag when out and about. 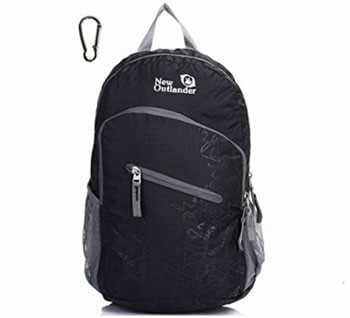 Despite its lightweight, it is made from rip resistant and waterproof nylon which is durable and long lasting. 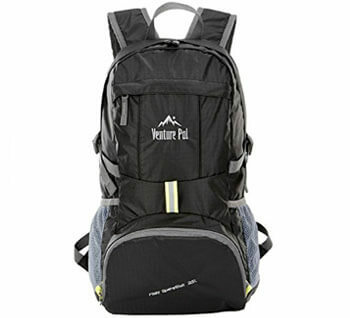 The stress points on this daypack are also reinforced for piece of mind on such a lightweight piece of gear. This is also backed by a lifetime guarantee just in case you are nervous! It also has adjustable breathable straps for getting the right fit for you. The Outlander also features an array of compartments including a roomy main compartment, 2 zippered pockets on the front of the bag as well as an internal zippered pocket. It also has the classic side pockets for water bottle storage. PROS: Lightweight and packable, with an array of compartments. CONS: Questionable durability and comfort due to thin material. The Outdoor Master is a spacious backpack with plenty of pockets and features to make your experience awesome. It is made of light weight materials but is still durable. It has padded adjustable shoulder straps for a snug comfortable fit and breathable back panel so you don't overheat. It also has a chest strap and wasit strap for additional comfort. It has room for a bladder hydration system as well as a laptop. It has side pockets for water bottles too if that is your preference. It also comes with a rain cover to protect your things if it rains, which is a nice additional feature to give you piece of mind when it starts chucking it down! PROS: Plenty of space, compartments and has a raincover for extra protection for your items.